Voila!! already its one year of blogging..i cant even believe that today am celebrating my first year blog anniversary..I should really say a big thanks to each and everyone who stopped by and left so many encouraging words which really increased my energy level to post my non stop recipes..During this one year in blogsphere, i learned so many things especially visiting so many blogs, learning many cuisines, got introduced to many friends, improved many techinical stuffs..I had a wonderful year in this vast blogsphere.. In this one year, am almost nearing to my 700th post also hosted many events, won some cookbooks, been tagged and awarded by many blog friends..Big thanks to my family members,without them nothing is possible and definitely nothing is possible without my regular followers & friends...Am celebrating this first blog anniversary with you all with some delicious Ganesh Chathurthi sweets which i prepared for Indian Cooking Challenge as challenge for this month of August..
Take vessel that has tight fitting cover. Start boiling water in that vessel, add salt and oil. When water starts boiling, lower the heat and slowely add rice flour. Please do now dump everything at once. Start mixing vigourously with a heavy spoon. Now close the lid and take the pot off the heat. Let the covered pot cool down for 15 minutes or so. Then with wet hands, mix the dough properly. It will warm so be careful and use cold water to keep your hands from burning but do not use too much water. Start boiling water in a large vessel that can fit a steamer. Oil the steamer and set it aside.Make about 20 balls of the dough and 20 parts of the stuffing. Start making small puri with the dough ball on a oiled paper/aluminum foil. Keep one part of stuffing in the middle of the puri and gather the puri gently to make shape like modak with modak mould.Now dip each modak in cold water and put it in the steamer. Put the steamer on boiling water and cover it. Let themodaks steam for 20 minutes on medium to high heat. Take the steamer off the vessel and let it sit for 5 minutes before removing moodak from steamer. Wash and soak Urad dal for 4-5 hrs. Place in a big vessel as it will expand after soaking. Then drain water from the Urad dal and grind to fine paste adding very little water. The batter is almost like the thick dosa batter before you make dosas. Add salt and leave it aside covered. Pressure cook the channa dal with just enough water to cover it. Even if excess water is there, you can always use the water for chaaru. But less water is better.Cook the jaggary to remove any scum. Then once the dal is well cooked, drain and cook it along with the jaggary. It should become very soft enough for you to mash well. Add Cardamom powder and grated coconut, when the dal starts to leave the sides its done. Remove and cool. Divide them into equal balls.Heat a thick bottom kadai for frying. Once the oil is hot, turn to sim. Then dip each ball in the Urad dal batter. Then gently drop them into the hot oil. Turn and cook on all sides. Once couple of batches are done, strain the oil to remove the scum.It hardly takes more than 2-3 mins to get cooked. Drain them on to a kitchen towel. Wash the black sesame seeds and dry it over a towel or else under sun..dry roast the sesame seeds and keep aside, grind together the sesame seeds and jaggery...make 12-15balls from this mixture..
U would have prepared potatoes as podimas, roast or masala, but as thokku??.. yea this potato thokku was one of my first cooking experience and this potato thokku tastes between spicy potato roast and potato masala coz the ingredients i used in this dish, almost goes for the ingredients we usually used to prepare either roast or masala...I can definitely say that i was the one who created as i prepared this dish without any knowledge..I prepared this dish accidently before long back...At that time, i was doing my college and my mom went to grandma's village urgently for some family problems and she left us without preparing anything for our lunch.. While doing my college in pondicherry i'll go to my college, only for afternoon session in a famous Women's college so without wasting my morning time i'll go to stitching class, shorthand class and typewriting class..i usually start my daily classes from 9am and will come back home only at 11am every day..
Heat oil in a kadai and add the chopped onions, chopped tomatoes, saute for a while and add the ginger garlic paste, fennel seed powder, saute until the oil get separates, meanwhile cook the potatoes and smash them slightly..
Add the smashed potatoes, red chilly powder and salt to the cooking masala and cook everything in simmer for few minutes with lid closed , add the coconut milk and curry leaves to the potatoes..cook the potatoes until the oil get separates.. 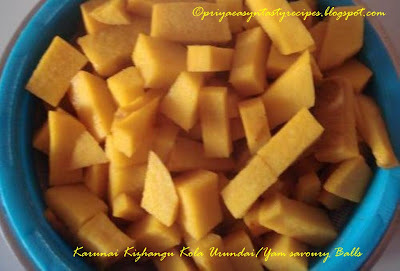 Serve this potato thokku as side dish for rice and rotis.. 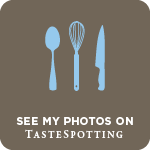 Tried & Tasted event goes to Ganga's A Life (Time) Of Cooking which has been selected by Yasmeen of Health Nut for this month of August..I never went to this wonderful blog before, thanks to Yasmeen for introducing this wonderful blog, which have really a lovely collections of delicious dishes and fantastic collections of beautiful clicks..While browsing through Ganga's blog i have completely fallen in love to this fabulous blog and i was really confused to try and taste some of her beautiful dishes, but finally i went for 3 of her yummy dishes..These three dishes was completely very easy to prepare and very flavourful, healthy, simple and incredibly delicioussss....U will definitely surprised to see the ingredients in Eggless indian custard which goes for chickpeas flour, making out custard with chickpeas flour is completely possible and i was very curious to try out this custard, needless to say this eggless indian custard was terribly delicious and the cauliflower walnut cream tastes amazing and healthy which need very less time as cauliflower florets gets cooked very easily, while coming to rizogalo, greek rice pudding such a creamy, flavourful and mouthwatering dish suits marvellously for a rich desserts..Tempting dishes rite!! Let the saffron strands stands for few minutes in few tbsp of milk, heat the ghee and fry the cashewnuts and raisins until they turns golden brown..add the chickpeas flour to the same ghee and roast until the aroma comes out..add the saffron strands to the milk to the roasted chickpeas flour along with grated jaggery and cardamom powder, stir continously until the mixture turns as custard, finally add the fried cashewnuts and raisins, serve!! Bring boil the vegetable stock water with cauliflower florets, chopped onion in medium simmer flame and cook until the cauliflower turns soft..add the milk and walnut pieces to the cooked cauliflower and blend as smooth soup..Heat again and add enough salt and pepper powder according to ur taste, serve hot with chopped walnuts.. Combine together the milk,sugar, orange rind, rosemary sprigs and heat in medium high flame..stir the milk continously until the sugar gets dissolved..meanwhile wash thoroughly the rice and add the washed rice to the boiling milk and cook in simmer by stirring occasionally until the rice gets well cooked..remove the rosemary sprig, orange rind..make a paste with custard powder and milk, add this paste to the cooking rice..stir until the pudding get thickens.. Serve hot , warm or cold with few nuts and cinnamon powder..
Take the flour, yeast, salt in a large bowl, gradually add the luke warm water and turn it as soft dough, if the dough is sticky,add few drops of oil and turn them as dough, keep this dough in a warm place for an hour with lid closed until they double their volume..
Heat the oil in a pan and sauté the sliced onion until they turns transculent but not brown, meanwhile beat together the fresh cream, egg, pepper powder, caraway seeds, nutmeg powder and salt as smooth cream and keep aside...Preheat the oven to 350F..
Punch down the dough and roll it as round disc, place the dough in a round baking mould or pie mould, pick the dough with fork..now spread evenly the sauteed onions and pour the spiced cream over the onions and bake the pie for 40minutes or until the top of the pie turns golden brown..
Wat a long title na! !yea i have prepared everything sterday as i had sudden visits of few of my friends..we met after a long and had a great time before going to start our routine life from next week onwards..yea!! summer vacations almost comes to an end and next week is going to be very hectic.. school going kids and working moms are getting ready, while some french peoples starts their summer vacations in September..Yet to go for an year...coming to this lovely and delicious spread of dishes, i prepared almost everything in microwave as my friends wanted me to sit and chat with them instead of spending more times in cooking..I really realized that cooking in microwave oven doesnt need that much attention and u can really spend lot of time with ur guests since our indian dishes really need to spend more time in ur kitchen... Also cooking through microwave oven all these dishes hardly needs two r three times stirring process and once u set the cooking time, ur dishes turns out very much prefect and delicious as we do in stove top..My guests loved all these delicious dishes and relished each and every spoons of carrot n coconut halwa & badam n pistachio phirni..before starting cooking my menu list went for vegetable pulao, aloo masala and carrot halwa, but once i started cooking in microwave oven, i went on preparing all my dishes really with different ingredients..Vegetable pulao turned simply as carrot pulao and the simple aloo masala went for aloo matar and gobi masala...Also initally i want to prepare just a sweet,but finally one of my french friend asked me to prepare carrot halwa and i prepared it with some fresh grated coconut...And Lata Raja's MW Phirni tempted me and really pulled me to prepare phirni with badam and pistachio nuts coz i was really curious to prepare this phirni as she prepared in microwave oven..Thanks Lata for sharing this microwave version of phirni..
Wash thoroughly the basmati rice, take together the rice, water and oil in a large microwave safe bowl and cook in microwave for 20-25minutes high(stir in between), u will definitely get prefectly cooked basmati rice, keep aside and let them cool..Heat the 2 tbsp of oil and whole cumin seeds together for 2 minutes in high, now add the chopped onion, slit opened green chillies with salt, cook in high for 10 minutes...Add the chopped carrot pieces with pepper powder, red chilly powder, cumin powder, garam masala powder to the already cooked onions and cook again for another 10 minutes in high until the carrot pieces get cooked well (stir in between)..Now add the already cooked rice to carrot masala,add enough salt if needed and toss them gently,cook again in high for 5 minutes..Garnish with chopped coriander leaves and serve hot..
Soak together the raw rice, badam and pistachio nuts for half an hour, meanwhile heat the milk in deep microwave bowl in high for 5 minutes (give a stir in between), grind the soaked rice and nuts as fine paste..add this grounded paste, ghee, sugar to the hot milk and cook in high for 10minutes in microwave oven (stir twice or thrice in between)..Add the cardamom powder and saffron strands and cook for 2 minutes in high..Phirni is ready to serve..
Heat 1/2tsp of ghee and roast both the grated coconut and grated carrot together until they shrinks,fry the cashew nuts in remaining ghee and keep aside.. bring boil the milk and condensed milk together, now add the already roasted coconut and carrot mixture to the boiling milk and stir continously until the mixture turns as halwa, finally add the cardamom powder, fried cashnew nuts and garnish with almond flakes.. Protein rich breakfast with plenty of nutritious values which suits tremendously to start our hectic day..I have crossed this toor dhal idlis at Pavithra's space while am searching for something new for our breakfast as my H was really bored of usual idlis..To change our usual breakfast i tried out this toor dhal idlis and served with hot and spicy Chettinad curryleaves kuzhambu which was quite a delicious pair to these toor dhal idlies..Am gonna try Pavithra's toor dal idli upma today with some leftover toor dhal idli batter...I followed everything as per Pavithra's instructions to prepare this protein rich toor dhal idli except i have added few tempered spices to enhance the flavour, thanks a lot Pavithra for sharing this soft and delicious toor dhal idlis..Am sending this idlis to EC's WYF-Breakfast and to Shanthi"s State Specials..
Soak urad dal separately and rice with toor dal for atleast 3hours...Grind the urad dal until they turns soft and fluffy batter...take off the urad dal batter and grind the soaked rice and toor dal as slightly coarse batter..mix everything with enough salt..leave overnite for fermentation.. While making out idlis, heat the oil and add the mustard seeds, urad dal, channa dal, let them splutters..add the chopped onions and curry leaves and stir until the onions turns transculent..add this tempered spices to the toor dhal idli batter, give a stir..Grease the idli moulds with oil and pour the toor dhal idli batter in the moulds, steam cook for 10 minutes in idli cooker.. Serve hot with hot and spicy gravies or chutneys! Soak mixed beans in water for overnite..the next day ,strain the water and wash it thoroughly..cook in pressure cooker with enough upto one whistle..strain again the water and keep aside..heat enough oil and add the mustard seeds, urad dal curry leaves and asafoetida powder, let them splutters..add immediately the cooked beans,give a stir..finally add the fresh grated coconut and cook for few seconds..
Soak the whole urad dal in water and keep aside for 2 hours...strain the excess of water and grind them as fine paste with salt, u can add just few drops of water...Take out the batter and add the chopped shallots, chopped green chillies, smashed ginger pieces, whole fennel seeds and curry leaves..meanwhile heat the oil for deep frying, take a small ball from the vada batter..flatten them with ur wet fingers in ur palm, make a small hole in middle and drop gently to the hot oil one by one...Fry them in batchs until they turns golden brown..drain the excess of oil with paper towel.. Serve hot with coconut chutney!! Special festive dishes goes to sweet and savoury dishes...We cant prepare daily sweet dishes either special savoury dishes at home thats why while making dishes during festive times i always prepare mostly delicious and new dishes, and this time Ganesh Chathurthi was on sunday so no need to say how i really felt happy to try out many dishes on this day,i started my chathurthi special dishes with coconut & jaggery balls as this balls are really very easily to prepare,this balls are traditionally prepared for making modaks at my mom's place and i changed this time to turn this modaks stuffing sweet coconut and jaggery mix as yummy ball, and rolled this balls over almond flakes...Now coming to semolina & oats kheer, i have already prepared halwas with oats and kheer with oats and mango, and this time i went for semolina (rava) and oats kheer..Another delicious kheer!!! 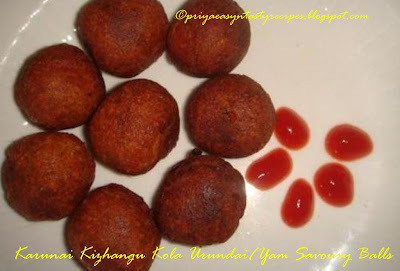 Am sending this sweet coconut & jaggery balls and semolina & oats kheer to Purva's FF-Janmashtami & Ganesh Chathurthi and the semolia &oats kheer goes to Sanghi's FIL-Milk, again both dishes goes to Sara's Sweets & Savouries Event..
Make a syrup with jaggery and 1/4cup of water, strain this syrup and heat in medium high flame, stir continously until the syrup get thickens, add the grated coconut and cook until the mixture get thickens, finely add the cardamom powder, put off the stove...keep this mixture aside and let it cool..
Make small balls from this mixture and roll over the almond flakes...Enjoy!! Dry roast the semolina for few minutes,also dry roast oats for few minutes and keep aside...Bring boil half a cup of water and add the roasted rava , cook in simmer for 5 minutes, add immediately the milk and condensed milk, saffron strand,roasted oats and cook until the rava and oats get well cooked..meanwhile heat the ghee and fry the cashew nuts,add these fried cashew nuts, almond flakes & cardamom powder to the kheer and put off the stove..
Wishing you all a Happy Ganesh Chathurthi....Hope u all might be enjoying today's delicious dishes, which u prepared to celebrate this famous chathurthi day...I prepared too many dishes to celebrate this great day and the menu starts with mixed beans sundal, coconut and jaggery balls, onion medhu vadais, modaks, rawa and oats kheer etc, yea today's menu was quite a long and we enjoyed this great day with all these yummy dishes....Last year i prepared for ganesh chathurthi Ragiflour Pidi Kozhukattais and this year i want to make kozhukattais as another healthy and delicious dumplings, to change the usual way of making out kozhukattais i went for wheat flour which is one more healthiest way to prepare these sweet dumplings..i used storebought wheat flour(atta) to prepare this fabulous wheat flour dumplings with jaggery, dry roasted moongdal and grated coconut...Easy, yet healthy also delicious kozhukattais are ready within few minutes..These kozhukattais goes to Purva's FF-Janmashtami & Ganesh Chathurthi.. Here is some of my dishes, will post all these dishes one by one very soon...now lets go to wheat flour pidi kozhukattai..
Dry roast the wheat flour in a pan for few minutes,keep aside..now dry roast the split moongdal in a pan until they turns golden brown. Heat the water, oil and salt, once the water starts boiling, add the jaggery pieces and make a syrup...strain this syrup and heat again until they starts thickens, add immediately the roasted wheat flour;roasted moongdal, grated coconut,cardamom powder and stir everything until the wheat flour get off from the pan...let them cool. Take a small ball from the dough n press in ur fingers..Pressure cook them for 10 minutes in Idly Cooker..
Cut the baguette slices as small cubes..toss the bread cubes with ghee and arrange in a microwave flast bowl, cook for 2minutes, u will get the roasted bread cubes, add the sugar and a half cup milk to the roasted bread cubes and heat again for 5 minutes..add now the remaining milk & saffron strands to the bread pieces and cook for 3minutes until the bread turns soggy..finally add the cardamom powder and almond flakes to the bread halwa..
Peel the cucumbers and cut into very thin slices...mix together the vinegar, sugar, salt, pepper and pour over the sliced cucumbers,let it sit for half an hour in fridge...finely add the sour cream, dry parsley leaves and finely chopped onion pieces..
Heat oil in a pan and let splutter the cumin seeds, add the chopped bellpepper pieces and saute for few seconds, add the chilly powder, soya sauce and salt if needed and cook in simmer until the oil gets separates, keep aside and let them cool..
Make a dosa batter by adding few water to the idli batter,heat a non stick pan, grease the pan with oil and paper towel or with a slice of onion..now pour a spoonful of batter and turn in clockwise to small circles..drizzle few drops of oil around and flip the other side and cook well...now place a the bellpepper masala inside the dosa and roll it...Serve hot!! Heat enough oil in a kadai, add the bay leaves and fry until they turns brown, add immediately the chopped onions, chopped tomatoes, ginger paste, garlic paste and saute everything well until the raw smells goes away...add now the half cooked green peas and add the grounded paste to the kadai, cook everything in simmer for few minutes with lid closed...finally add the cooked soya chunks and enough water to the kadai and cook in medium high flame for few minutes..put off the stove and add the coriander leaves..
Its always been a real pleasure to get and share the awards through this virtual world, am really happy to get this fabulous blog award from Sangi,Rekha..Thanks dears for thinking about me..
Any other reasons you can think of that make them Scrumptious! 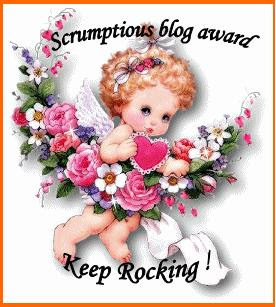 And this beautiful scrumptious blog award was shared with me by Sireesha,Priyaraj,Sushma Mallya and Priya..Thanks a lot gals..
Let them know that they have received this Scrumptious award by commenting on their blog. Share the love and link to this post and to the person you received your award from. Pls accept this awards friends!! Smash together both black-eyed peas and potatoes, add the red chilly powder, garam masala powder, coriander leaves, salt..meanwhile heat a few drops of oil in a kadai and add the chopped onions and chopped tomatoes, saute both together until the veggies get slightly cooked...keep aside...make a white thick paste with cornflour and water in a flat plate..take the bread crumbs in an another plate...Mix the cooked onion and tomato pieces to the smashed veggies...Take a small ball from the veggie mixture..flatten them as any shape as u desire and dip the cutlets in the cornflour paste, immediately roll them over the bread crumbs and keep aside...Arrange them in fridge for an hour before shallow frying the cutlets..
Heat oil for shallow frying in pan and fry the cutlets on both sides until they turns brown..serve hot!! Hot!! hot!! its too hot here, u might have heard that Europe is completely terrified by the huge red ball 'Sun', yea since few days the temperature is quite like we were living in a desert..Its that much hot and even the french government have alerted yesterday that today is going to be the hottest day of this summer...This sort of hot climate are really freaky here since they crossed large amount of death of aged peoples before few years ago..Its really hard to cook and eat when its too hot, everything we need is water, juices and salads..having rice dishes or cooking gravies etc is completely a hard task when its 40°c in ur kitchen..Since few days most of our dinner is salads, salads & salads...This bellpepper and melon salad is one of among those salad which i prepared for our dinner..Simple, colourful, refreshing, easy and both melon and bell peppers together suits tremendously prefect... the crunchy bellpepper and delicious sweet melon tastes amazing while served as salads, also i have added few lettuce leaves, cucumber, corn kernels and served with pepper powder and salt with a tbsp of olive oil, u can also omit both salt and oil and serve very well with salt. Soak overnite the dry chickpeas in water...the next day cook the soaked chickpeas with enough salt in hot water or either pressure cook upto one whistle...Drain the excess of water and keep aside..heat a tablespoon of oil and add the mustard seeds, urad dal, dry red chillies, asafoetida powder and curry leaves, let the turns brown...add immediately the cooked chickpeas to the pan and saute for few minutes, finally add the grated coconut, give a stir and put off the stove..
French Bread toast can be called as Pain Perdu in french which is prepared simply with egg,nutmeg powder, milk,cinnamon powder ,vanilla essence mixture in which the bread slices or french baguette are dipped and toasted on both sides with melted butter until they turns golden brown...This toast brings me loads of memories, my mom used to prepare this delicious toast often for our evening snacks, the aroma of this toasted bread makes us hungry while entering after a long day at school..This is a sweet version while spicy version i have already tried and really enjoyed it, u may check my Spicy bombay toast, if u are searching for spicy version..Coming to this french bread toast, i prepared this toast with french bread called baguette which is quite a famous bread and they suits incredibly prefect to prepare this bread toast, u may serve this bread toast either with powdered sugar, maple syrup, icecreams y not with whipping cream..Easy snacks quite healthy and definitely this toast brings us lots of old memories na!!! Drizzle the maple syrup over the bread toast and serve hot!! Its peak season for summer fruits like peach, apricot, watermelon here...Watermelon is not only great on a hot summer day, this delectable thirst-quencher may also help quench the inflammation that contributes to conditions like asthma, atherosclerosis, diabetes, colon cancer, and arthritis.Sweet, juicy watermelon is actually packed with some of the most important antioxidants in nature. Watermelon is an excellent source of vitamin C and a very good source of vitamin A, notably through its concentration of beta-carotene. Pink watermelon is also a source of the potent carotenoid antioxidant, lycopene. These powerful antioxidants travel through the body neutralizing free radicals.Watermelon can be either as salad with cucumber, tomatoes, can also prepare as jams, pies,fresh juices etc..Here is a simple soup made with watermelon,orange fresh juice and mixed fruits soaked for atleast two hours and served chilled..Such a refreshing soup while its too hot can be very served as dessert..
Karunai kizhangu which is called as elephant foor yam is quiet rich in protein than okras.. KarunaiKizhangu kola urundai,its a snack or else a starter... can replace usual samosa,rolls in a party..very easy to make n ppls whoever hate this elephantfoot yam will fall in love with this kola balls...Even kids love this...Some peoples will definitely feel itching while removing the skin of elephantfoot yam , to prevent this take a tbsp of oil and spread as hand cream on ur hands...some may be allergic to this vegetable,its better to cook in small quantity while preparing dishes with this healthy yam to find out whether peoples at home are nt allergic to this yam variety..this kola urundai/savoury balls are my mom's special snack dish, she started preparing this balls after watching them in a TV show long back and i can definitely say this savoury balls are my family's favourite..
Cut the elephantfoot yam into small cube pieces and wash them in cold water...Heat 1 cup of water with turmeric powder and yam pieces..cook it for 5 minutes. Meanwhile grind the roasted split chick peas to fine powder...sieve it and keep aside .Grind the already cooked yam pieces in a blender...shouldnt add even a single drop of water even it will be difficult to grind the yam pieces. Try to grind it nicely like vada batter and finally add garam masala and fennelseed powder, the chickpeas powder to the mix...while making balls, this mix shouldnt stick in ur palms or in ur fingers..if its sticky add more chick peas powder. Fry as deep frying and serve with ketchup!! Maple syrups come from the saps of maple trees. There are certain processes involved in extracting the syrup from the sap, the most common being that used with a sap sprout. While low in calories, maple syrup’s nutritional profile is comprised of protein, carbohydrates, iron, calcium, magnesium, manganese, potassium, and zinc.Maple syrup is a good sweetener to use if you are trying to benefit the health of your heart. The zinc supplied by maple syrup, in addition act as an antioxidant, has other functions to decrease the progression of atherosclerosis.One ounce of maple syrup supplies 22.0% of the daily value for this very important trace mineral that benefits our health. One more bread with oatmeal and banana, but this time i used maple syrup instead of sugar and mashed ripen bananas suits prefectly for the sweetness of this bread..Initially i want to prepare this eggless oatmeal, banana bread as vegan version but unfortunately i have added few tablespoon of butter to prepare this delicious banana and oatmeal bread...Delicious, healthy bread suits incredibly prefect for weekend breakfast with hot coffee or tea.. Mix flour, rolled oats, baking powder, baking soda together and keep aside...beat the butter, maple syrup together until they mix well..now add the banana puree and the milk to the butter and maple syrup mixture..Preheat the oven to 350F..
Cook the chopped clusterbeans in microwave safe bowl with enough salt and 1/4cup water for 7minutes in high..drain the excess of water and keep aside...meanwhile grind the coconut, green chillies and cumin seeds as coarse paste..Heat enough oil and add the mustard seeds,curry leaves and urad dal, let them splutters..add now the coarse paste , cook it for few minutes...then add the already cooked cluster beans, cook everything in simmer..
Nasi Lemak is traditional malaysian coconut rice and its a malay word where this word literally means 'rice in cream'...This name is derived from the cooking process where rice is cooked in coconut cream..Malaysian people used pandan leaves to give a particular flavour this rice and spices like ginger and herbs like lemon grass are also added for additional fragrance..Traditionally this nasi lemak is served in banana lead with cucumber slices, small dried anchovies, roasted peanuts and boiled eggs with hot spicy sambal sauce, this rice dish can also be eaten with pickled vegetables, stir fried greens etc...Nasi Lemal is widely eaten in malaysia and even this dish is served in Malaysian schools, this nasi lemak can be also served as breakfast dish and sold early in the morning at roadside stalls in Malaysia where this rice is packed in newspaper, brown paper or in banana leaf, anyhow this rice dish is served as noon or evening meals in restaurants..Nasi Lemak can be prepared so many different version where some used to prepare with pandan leaves while some with bay leaves, as its kinda hard to get pandan leaves i prepared this Nasi lemak with bay leaves, ginger pieces and few pieces of lemon grass and i served with Malaysian Spicy Okra Kheema both together tastes marvellous and am sending this malaysian coconut rice to Vaishali's IAVW-Malaysian and to Think Spice-Think Bayleaf guest hosted by Apu of Annarasa, event started by Sunita.. Serve with any spicy side dish! Thanks a lot friends for all ur beautiful wishes in Orkut as well as in Facebook on my birthday..Am really very happy to see all ur wonderful wishes and i really enjoyed my day....My day started with a beautiful gift from my Hubby who bought me Iphone which was i wished to buy since a long, needless to say my happiness and the morning itself started marvellous for me, and coming to the birthday lunch i prepared easily in microwave and menu goes for peas pulao, paneer masala and semiya paayasam , i prepared one by one in microwave oven which need quite a bit more time to prepare and i enjoyed my day without much chopping veggies and stirring the gravies or frying...This microwave dishes need each atleast half an hour to prepare eventhough its quite a long to prepare than the stove top..Its was a really a feast for me to enjoy all these microwave dishes and had a great time with my family..
Heat the oil and ghee in a microwave safe bowl for 2 minutes, add the cumin seeds to the hot oil-ghee and cook for 3 minutes in high..add the frozen green peas to the roasted cumin seeds and cook for 5 minutes, give a stir twice in between...Now add the thick coconut milk, salt and water to the green peas and cook for 5 minutes in high, meanwhile wash the basmati rice and strain the excess of water in a colander...add the basmati rice to the hot coconut milk give a stir and cook for 5 minutes...take off the microwave bowl, give a stir and cook again for 15 minutes in high until the rice get well cooked, dont forget to stir every 5 minutes.. 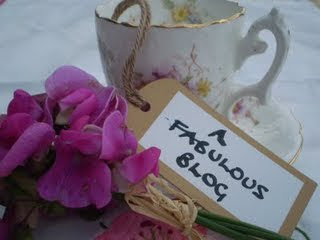 Serve hot with any side dish!! Soak the almonds in hot milk (heat the milk in microwave for 2 minutes) atleast for an hour...Grease a microwave safe bowl with few drops of oil and add the chopped onions, chopped tomatoes, garlic cloves and ginger pieces, cook in high for 10 minutes (stir in between twice)..take off the bowl and grind the cooked veggies as bit coarse paste...Meanwhile heat few drops of oil and cook the paneer pieces for 2minutes in high in microwave plate and keep aside...Heat enough oil and add the grounded paste with red chilly powder, garam masala powder, coriander powder and salt, cook in high for 10 minutes (stir in between) or until the oil gets separates, now grind the soaked almonds and milk as fine paste..add this fine paste to the cooked masala (can add water if u need for, i didnt add water as i need for thick paneer masala for my rice) and cook again for 2 minutes...finally add the paneer cubes and cook everything for again 5 minutes in high..take off the paneer masala from the microwave.. Serve hot as side dish for pea pulao & with rotis!! Heat the butter in microwave safe bowl and roast the cashew nuts for 2 minutes, take off the cashew nuts and add the semiya to the same bowl and cook for 2 minutes until they get slightly roasted...Add the milk and milkmaid together in an another microwave bowl and heat for 3 minutes in high(give a stir in between), add the roasted semiya to the hot milk and cook for 10-15minutes until they get well cooked(stir atleast twice while cooking) finally add the roasted cashew nuts, cardamom powder and saffron strands to the hot semiya paayasam, give a stir and serve hot or cold ..
Malaysian cuisine reflects the multi-racial aspects of Malaysia. Various ethnic groups in Malaysia have their dishes but many dishes in Malaysia are derived from multiple ethnic influences.Rice tends to be a staple food in Malaysia as in most countries in the region. Vegetables are usually available year round as Malaysia does not have four seasons.Being a multicultural country, Malaysians have over the years adapted each other's dishes to suit the taste buds of their own culture. For instance, Malaysians of Chinese descent have adapted the Indian curry, and made it more dilute and less spicy to suit their taste.Chinese noodles have been crossed with Indian and Malay tastes and thus Malay fried noodles and Indian fried noodles were born...Desserts in Malaysia tend to make use of generous amounts of coconut milk.I crossed this malaysian spicy okra kheema here..While reading this kheema dish, i just loved the ingredients and the simplicity of this dish which suits incredibly amazing with hot steaming rice and also for rotis and chappathis...Aù sending this delicious side dish to Vaishali's IAVW-Malaysian and to Viki's Side dish for Chapathi.. Grind the chopped garlic, chopped onions,chopped green chillies as coarse paste..Heat the oil and add the coarse paste of onion mixture, cook until the onion get slightly brown, add the chopped okra pieces and saute until they turns bit tender, add the red chilly powder, coriander powder, turmeric powder, lemon juice and cumin powder with enough salt,saute everything well and finally add the chopped tomatoes and cook until the oil get separates..
Dip the bread slices into a bowl of water. Squeeze of the water immediately. 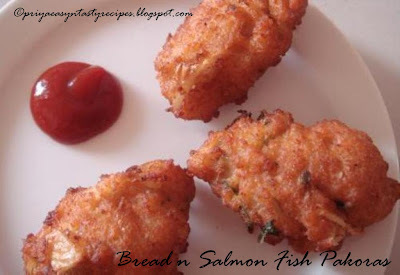 Place the salmon fish filets and the bread into a food processor or blender. Process until it becomes a smooth paste. 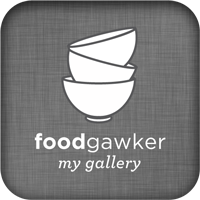 Transfer the fish n bread paste into a bowl. Mix with the chopped ingredients, while mixing all the ingredients use spatula r tablespoon, dont use ur hands coz they may be very sticky... finally add garam masala and salt. Heat oil for deepfrying in a kadai. Drop a tablespoonful of batter into the hot oil. Fry on medium heat until golden brown...if u want the crispiness, make the batter thick..
Add the grounded paste to the simmering gravy and cook until the oil get separated from the gravy...add finally the chopped coriander leaves and put off the stove.. Scrambled eggs, i just love it simply with bread toast...Our weekend menu goes almost to scrambled eggs with bread toast, cereals and hot coffee or tea..Sometime i used to make out scrambled eggs either with chopped onions, tomatoes or else simply with salt and pepper...Last sunday, i went to my farmers market after a long back and i bought few broccolis from there. While preparing my scrambled eggs i added few chopped broccoli florets to my scrambled eggs, i served this scrambled egg with bread toast for our lunch with salad...It was really fulfilling, healthy and delicious sandwich prefect for everyone, its quite an easy and simple way to feed whoever really hate having broccolis. Whisk together the eggs and soyasauce..heat a tsp oil and saute the chopped broccoli florets with pepper powder and salt until they turns tender...now add the whisked eggs to the sauteed broccoli florets and cook in simmer, give a stir every two or three seconds until the eggs get cooked well.. Serve hot with toasted breads! 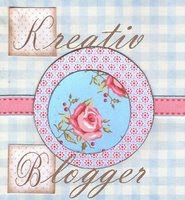 Lata Raja,Kittymatti,Lissie,Srilakshmi, PoornimaNair,Suparna,Aquadaze, Sushma Mallya & Preeti have given me a wonderful and beautiful Kreativ Blogger Award..
1)Am an addict to chocolates, i can definitely say that i cant live without having chocolates atleast once a week specially dark chocolates..
2)I cant stop listening songs, i love soul soothing Raja's songs, my favourites goes to 80's songs..
3)Am not a picky eater, i can eat anything and my favourite food items goes for a long list..
4)I love watching thriller and comedy movies..
7)I love to walk in rain..